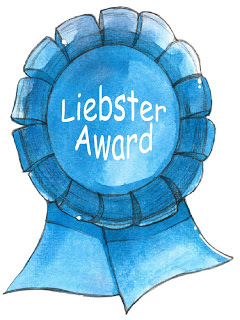 As it turned out, it was another Liebster Award, the second one in a week. How does it feel? In fact ehn, over-happiness still dey do me. But as always, there are rules. I have taken care of # 1. 4 more to go. Cutting grass is definitely not the answer I am going to give! I like looking at pictures of people, food, places. People. You get my drift? I wish I had learnt to play several musical instruments. Drums, Keyboard and Guitar, especially. Facebook or Twitter and why? What is a deal breaker for you in a relationship with your significant other? Hmmm ... I will have to whisper it in his ears. What is the relationship with your siblings like if you have siblings? That's all folks! Enjoy the rest of your week. congrats on all the awards... best wishes! Hey Relentless, good to read your answers; but why are you whispering to ur guy now ?? Naughty you! I didn't know you're a twin, nice. Myne: I thought you knew o. Yes, I am. Jemima: LOL! Yes, two of the three are. I can ask them but I doubt that they know the answer sha ... Lol! Priscy: Thanks a lot! I appreciate it. Toin: Abi o. Na so we see am. Thanks a lot! iwo nikan tan!! !..congrats on the award o!! for a while you just disappeared and i wondered what happened. It's not too late to learn. I just wish I had learnt them earlier *groan* You're welcome! Sugarspring: You're so welcome. I shall check them out soonest. Blazyfashion: You're welcome. Looking forward to your responses.